As a lot of you will already know, Marissa Carter and her Cocoa Brown team recently announced the launch of 4 brand new products under the Cocoa Brown umbrella. In their handy new Travel Set they have included the first of the Kind range of products, i.e. a shampoo, conditioner and shower gel, each formulated to be kind to sensitive scalps and skin, coloured hair and extensions. Also included in the Travel Set are the new Self Tanning Wipes but these are also available to buy on their own, as will the Kind range of products in 200ml size bottles (full size) very soon! I recently bought the Tanning Wipes in Roche’s Allcare Pharmacy in Gorey, the lady that served me told me that they had only arrived the evening before so I was literally the first person to buy them there 😜 Now being honest, I’ve never used a tanning wipe before in my life, I’ve never had the urge to use them having seen some horrific results on girls in the past, especially when I was in secondary school and we hadn’t a clue about how to tan 🙈 But after seeing the Snapchat stories of Marissa explaining how the Cocoa Brown ones are different and in the interest of trying all things new, I got them. I also bought the Cocoa Brown tanning gloves to use with them, just to ensure I didn’t end up with a mass of tan on my hands. I know I could’ve used any surgical type gloves but sure enough, I had to get the CB ones and they’re pink so it’s a win-win 😉💖 I always saw them in Penneys and wondered why Cocoa Brown would offer pink plastic gloves for tanning, like did people apply the mousses or gels with them?! Why don’t they just use a mitt?! It baffled me, but the penny quickly dropped when they launched the tanning wipes 😏 Great sales move there Marissa 😉 haha! First of all I have to mention the smell of the wipes. My god, it’s gorgeous! The signature Tahitian Gardenia scent is unmistakable as a Cocoa Brown trademark almost but it’s really subtle at the same time, not overpowering at all. The formula glided on to my skin as I moved the wipes in a circular motion. As it’s a light developing colour, there’s no definite colour guide like with an instant tan but I just made sure I had covered absolutely everywhere 👌🏼 It dried into my skin really quickly which is so handy if you’re on the go. The colour developed nicely over the next couple of hours and I ended up with a really lovely, natural looking, sun kissed tan. I used the wipes again the next night and had a great colour the following day, slightly deeper but still very natural. What I like about the colour that these wipes gives you is that it 100% doesn’t look false! It’s wearing off really well at the moment. 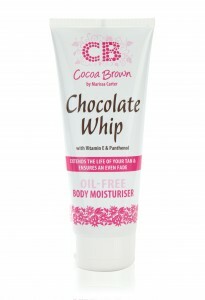 Like with any tan, I am ensuring to keep my skin moisturised with the Cocoa Brown Chocolate Whip oil-free moisturiser so that it does wear off evenly. You know the way that some mousses can make your skin go scaly or patchy on areas like your elbows, knuckles, even your wrist from your watch? !- well this certainly hasn’t gone that way at all, I’m honestly amazed by it! I had my blood taken after using the wipes and the area on my arm that they cleaned off hasn’t even gone patchy, it’s wearing THAT well! Like I mentioned above, the colour is natural and develops gradually so I would recommend the wipes for someone who doesn’t wan’t that obvious false tan look. Even if you’re somebody that just doesn’t like false tans in general, these could be a nice alternative that will give you more of a healthy glow. If you want a dark colour in an instant, I’d recommend either of the 1 Hour Mousses by Cocoa Brown instead, the original or the dark. 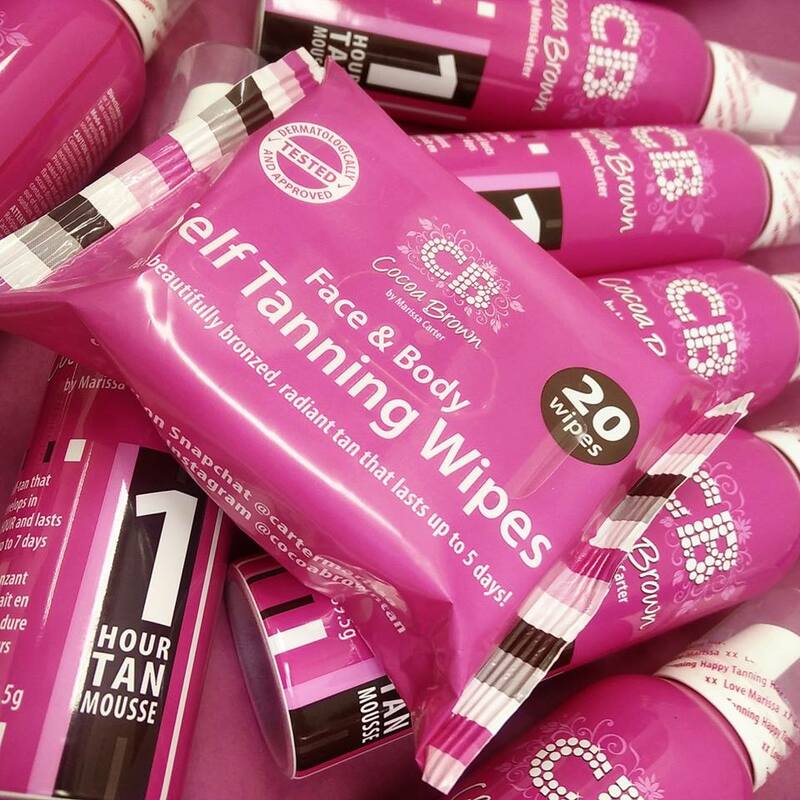 The wipes are definitely a great one to use for maintaining your tan or if you’re travelling, they are ideal as they won’t take up any of your liquid space on a flight. I think teaming this with a sweep of Cocoa Brown’s Golden Goddess Dry Oil will give a gorgeous, glowing finish and would look amazing on holiday also! The Limited Edition Rose Gold version will be launching soon and I’ll be the first in que to get my hands on some, it looks unreal! 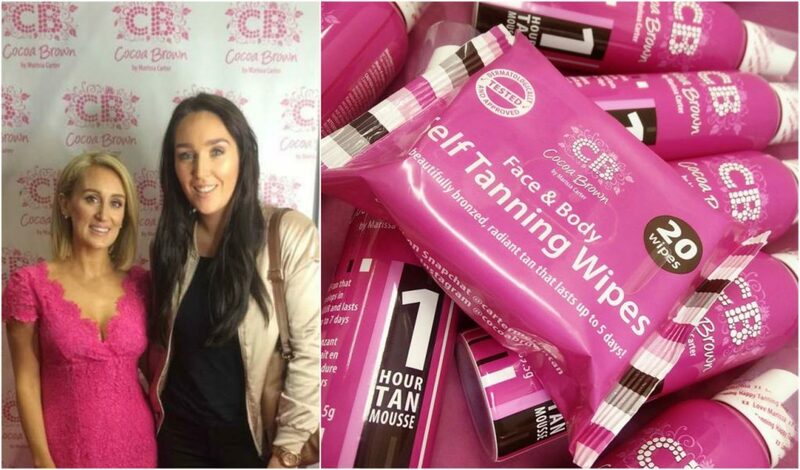 The Cocoa Brown Self Tanning Wipes (20 wipes per pack) retail on their own at €3.50 in pharmacies nationwide. The Travel Set includes the wipes and travel size bottles of the Kind shampoo, conditioner and shower gel, (50mls each) and retail for €8 in pharmacies nationwide. The Kind range of shampoo, conditioner and shower gel will soon be available in 200ml bottles and I’ll let you girls know about their release on Facebook, Instagram and Twitter. Next Post A Haul of More Things I Don’t Need but Bought Anyway!